Flan is a milk custard-y caramel creme dessert. When it is served, with the caramel spilling over and around it, everyone will think you worked all day to make it. I've been making this version of flan for years. It's not as cloyingly sweet or high in egg count as in other recipes. It only makes enough for 4-6, and good thing, too, because you'll want to grab the spoon and eat it all yourself. And, Ms. Non-Cook Person, it only has 5 ingredients in it! Woo-hoo! 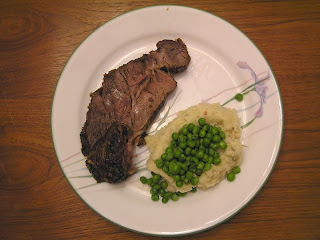 Here is a quick and easy version of a recipe that originated at epicurious.com. It's like a mexican version of a grilled cheese sandwich. Leave out the heat to feed to the young'uns, or keep in part or all for the teens and up. The original used garlic, but even though I normally like garlic in everything except bagels (even tried it once in ice cream, don't ask), I prefer my quesadillas without the stinking rose, thank you. Canned green chilies aren’t very high on the scoville scale, but if you are the type that thinks horseradish is too hot, omit it, and don’t even think of going near the jalapeños! In a medium bowl, mix together chilies and cilantro. When I first posted the recipe for guacamole, it was not for celebrating Cinco de Mayo, a Mexican holiday. But then I thought, why not? Quite a number of Mexican (or Tex-Mex) recipes can be made without the mishegoss of major juggling and substituting in order to create a kosher recipe. Not all the meat recipes are pork, and not all the meat recipes include dairy. The important thing is that many of the recipes are dairy, so they can be used for Shavout! (Bet you were wondering when I'd get around to the next Jewish holiday). Woo-hoo! Something else besides Blintz Souffle! Hey, don't worry, Shavout is two weeks after Cinco de Mayo, plenty of time to post my favorite Blintz Souffle recipe. :-D This recipe is parve, tho. I'll post a few dairy Mexican (or Tex-Mex) recipes in the next few days. After much arm-twisting and begging by me, a devout non-cook friend of mine took a look at my blog. She sent me an email telling me how great this blog is, with plenty of funny stuff to read, even if she ignores the recipes because they are way too complex for a person such as herself. She then requested that I include recipes with 5 ingredients or less, and with 2 steps or less. Well, since she was thoughtful enough to email me, how could I refuse?